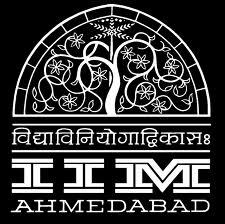 Welcome to the Group of Middle Management Program @ IIM-Ahmedabad (July 2008 Batch). This Group has been formed primarily to provide a Networking Platform to its Members. Databank of this Group shall contain the Cases Studies, Presentations & Other Knowledge Articles useful for our day to day business. TITOBA Middle East, Dubai Chapter was formed in year 2002. The main objective behind this initiative is provide a platform to the Alumni Members to do Networking, Social Gatherings & Various other initiatives in the Middle East Region. Today we our strength is over 21 members. We guys meet informally over weekends, go out for excursions and celebrate festivals here together. The Networking here is very strong , we have regular get-togethers and parties in Dubai. We update our cultural parties, celebrations, get-togethers on our other website mentioned below. You can find photographs from Birthday Parties to Concerts, from ICC T20 World Cup Celebrations to Welcoming New Member…. Its all about our Heritage from our Alma Mater..
TITOBA Dubai : Yacht Party is back !! This Blog carries Information, Views, Reviews, Debates & Discussions on various issues in the World. These are my personal views and should be quoted for any means outside the current forum.